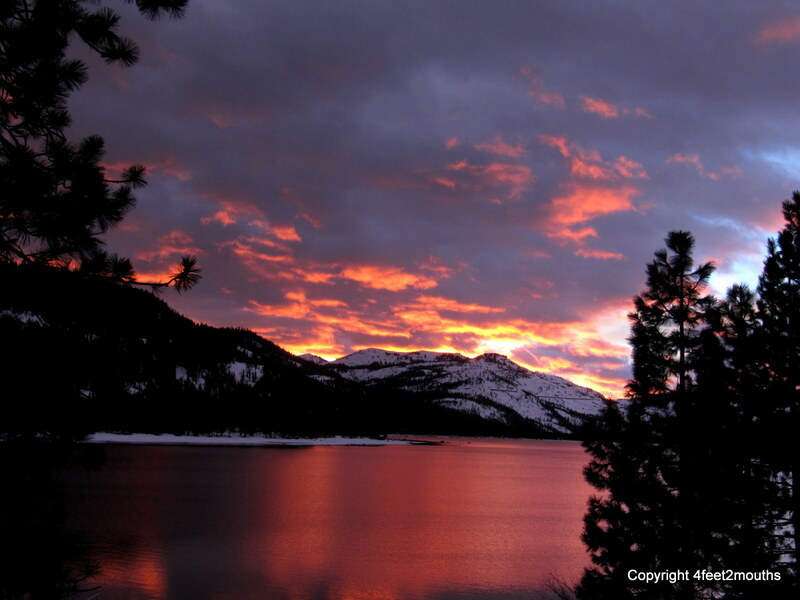 Sunset over Donner Lake, made possible with my car. Freedom. Finally I was free, sixteen years old and I had a driver’s license and a car. I could go anywhere and do anything. It took hard work, but after two years of dishwashing I had saved enough to buy a used pickup truck and the insurance and gas to keep it going. I did not realize it then, but this first purchase, this first attempt at freedom meant that I would be constrained and obligated to maintain, insure, fuel and protect my investment. Owning a car comes with baggage, too much baggage. I just sold my car and I am now more free than I ever was! Owning and driving a car in the United States has become more than a privilege, but a right and a necessity. “I love public transit (for other people), but don’t take away my parking space” is a phrase that echoes in thousands of forms across the urban areas of the United States. With subsidized gasoline and smooth highways, GPS and music at your fingertips, who wouldn’t want to drive? For many, that act of driving is essential to their lives, maybe it is freedom, maybe it is easy, but I wish that everyone knew just how expensive driving a car can be. Owning the same little pickup truck for twelve years has its perks. With my one and only car, my vehicle costs were almost a quarter of the national average. And I still spent almost $7 a day to keep my wheels ready to move when I wanted them. How did I keep the costs low? I bought a cheap truck for cash, insured it with bare minimums, I performed my own maintenance and a rarely drove. Over twelve years my vehicle related costs were over $30,000. Not anymore. These are just personal costs; no one realizes the stress of just driving, the necessity to focus on the road, the anxiety from unpredictable traffic and the road rage that flows to and from all the drivers on the road. The infrastructure costs to create and maintain roadways and the environmental impact from personal car use is also not considered in these numbers, if people knew these numbers would they still be petitioning against that new train, BRT or subway line? I will miss my little truck. We had some great memories together. My truck and I initiated my love of travel with trips to the mountains and canyons of the western United States. We camped under the stars, blasted our favorite tunes and for over a decade we had a life that was entwined and dependent on each other. I am breaking up with you. As you know, I am no longer working. I will be traveling for the next year and I cannot give you the attention you deserve. I find that I am much happier when I am on a subway train or bus. I think we would both be better if we had someone/something else in our lives. This does not mean that I did not enjoy grabbing onto your hard steering wheel, pushing your gas pedal and driving you crazy through the day and night. Thank you for all those good times. I remember all of our wonderful hours together, the miles upon miles of open road and how you kept me safe. You will be missed. 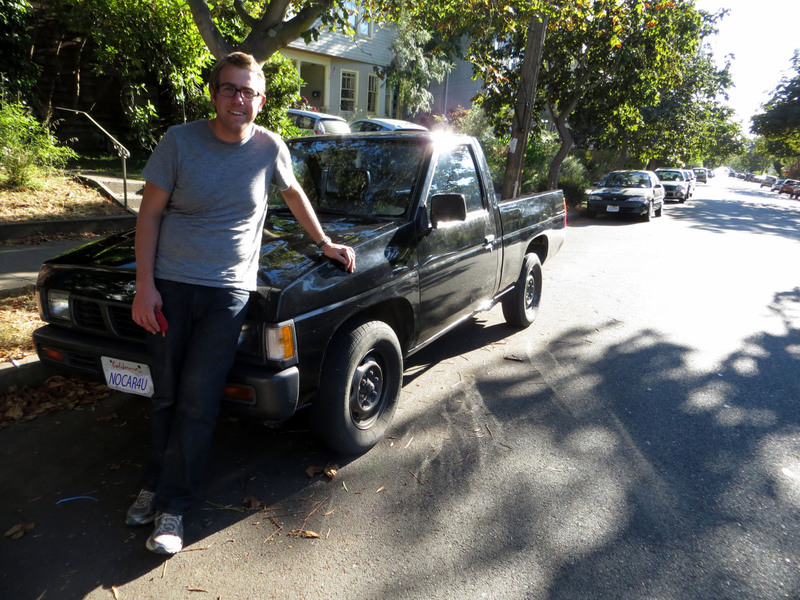 To my four-banger, the little-truck-that-could and the Nissan Hardbody (oh wait that was your real name), I wish you the best life romping through the grassy hills of the Marin headlands. Thanks Anu for the sweet compliments. I am excited to add us to your mix in India to see what comes out of the Awkward Chroniicals.